Earlier this week I attended an ICEM (International Council for Educational Multimedia) board meeting in Vienna. ICEM has a long history, viagra sale going back over 60 years, buy cialis starting with a focus on film, through to today’s rich multimedia offerings. ICEM as an organisation hosts an annual conference, this year it is in Singapore at the beginning of October, there are some great keynotes lined up and also some interesting parallel themes. In addition, ICEM has a journal associated with it, Educational Multimedia International, I can thoroughly recommend it as a publication outlet. Pambo Vrasidas, the editor, always provides timely and critical feedback, as do the reviewers. At the meeting we discussed a number of things, including looking at the new website, which will be launched soon, as well as more clearly articulating what are the benefits of being a member of ICEM. For me an interesting focus for ICEM is that it brings academics and multimedia producers together, something that other professional bodies in the field don’t do. So if you haven’t come across ICEM before, I can recommend taking a look and finding out more about what we do. The iPad mini a month on…. So I have now been using my iPad mini in earnest for a month. It has already become an essential tool that goes everywhere with me! I use it for most things, browsing the Internet, reading blog posts, and of course answering emails. The SpringPad App is fantastic as a way of curating and organizing materials. I am finding that I am reading more blog posts as a result and have categorised things for different purposes (blog posts, videos and audio, teaching materials, etc.) I can’t imagine now how I coped without it! It is funny how we integrate technologies into our practice and how this sometimes takes time, before one has that ‘Ah hah’ moment. I think iPad minis have fantastic potential in a learning context; enabling learners to learn anywhere, anytime, as well as for use in fieldwork, etc. The range of Apps available is simply staggering and the interface is good, very easy to read from. The big advantage over the iPad is the size and weight; the iPad is just too heavy to my mind. Also it has great battery power, another plus. For me this is truly a disruptive technology (Christensen 1997), a game changer, something that fundamentally changes things. It will be interesting to see what emergent research work on the used of these types of devices shows. 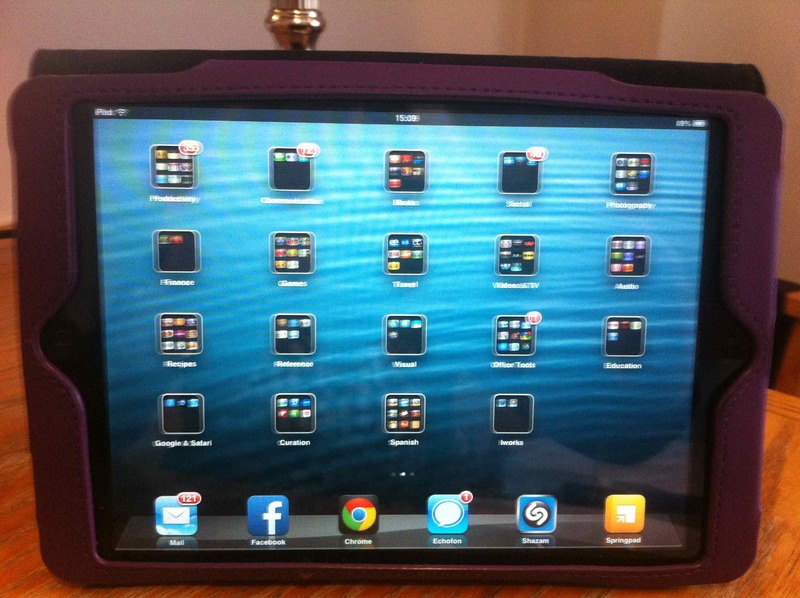 Terese Bird in our team has just completed a JISC-funded project PLACES evaluating the use of iPads in our Criminology Masters. The evaluation was very positive and showed the benefits of these types of devices, in particular enabling the students (who are often working in dangerous parts of the world, with little or no Internet access) to have access to all their course materials. I think iPads/iPad minis also have hugh potential for professionally based courses, for example Medicine. Christensen, C. (1997). The innovator’s dilemma: When new technologies cause great firms to fail. Harvard, Harvard University Press. 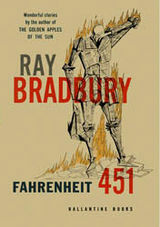 I have just finished reading Fahrenheit 451, I can’t believe I haven’t read it before now! It is put in the same category as books like 1984 and Brave New World. It centres on a future where firemen don’t put out fires, but instead burn books, which are considered dangerous. It is a world dominated by mass media and pointless communication, where being the same as everyone else is what counts; intellectuals and academics are not well thought of, neither is original thought or creativity. The main character’s wife is particularly scary, she lives a hollow existence, mindlessly watching three screens of TV, with pointless dramas that she can’t even remember. Written before the Internet the book in many ways mirrors what we are seeing today, i.e. a world highly interconnected, with information coming from every direction and a danger of channel hoping and surface browsing, rather than critical reflection and engagement. You can’t walk down the road today without seeing people staring at their phones whilst walking, indeed in the taxi this morning, the driver kept checking his phone for messages, as a result missed a change of lights! Of course the rich media we now have available at our fingertips offer a fantastic variety of ways in which we can interact with materials and communicate and collaborate. I just think we need to be mindful of the dangers of over simplification and remember that we need to develop the appropriate digital literacy skills to harness their potential and we need to be critically reflective on how we engage with them and what this says about our digital identity. I’m really excited about running our new Masters in Learning Innovation in October. The course will be available online and can be taken either full-time or part-time. There are four 30 credit modules on: Technology-Enhanced Learning, sales Learning Design for the 21st Century, no rx Research Methodologies and Case Studies of Innovation, viagra 100mg plus a 60 credit dissertation module. The course will give participants the opportunity to explore and critique a range of technologies and to consider the implications of these for their own practice, and more broadly for learning, teaching and research. We will draw on the latest research in the field, as well as tapping in to the wealth of great free Open Educational Resources now available and piggy backing on any interesting online events that occur, such as MOOCs and webinars. The course will give participants a rich overview of new technologies and how they can be used to foster more engaging learning experiences, but also will consider some of the implications of these technologies, both for individuals and institutions. We anticipate that the course will appeal to a range of people with an interest in exploring how technologies can be used in both formal and informal learning contexts. We also aim to draw on participants’ own experiences and practice, to build a vibrant community of peers. As an incentive, the first twelve people who register for the full time course will receive an iPad Mini. So go on sign up – it will be fun! For more information on the Masters and our areas of research interest, have a look at our website (http://www2.le.ac.uk/departments/beyond-distance-research-alliance), or contact me or Pal (pe27@leicester.ac.uk) for further details. EFQUEL are currently running a twelve-week series of blog posts on MOOCs, I am due to write a post in a couple of week’s time, this blog post is a draft, comments welcome! This post argues that the current discourse around the concept of xMOOCs (primarily based around interaction with content and essentially adopting a behaviourist learning approach), and cMOOCs (which focus on harnessing the power of social media and interaction with peers, adopting a connectivist learning approach), is an inadequate way of describing the variety of MOOCs and the ways in which learners engage with them. It will introduce an alternative means of categorising MOOCs, based on their key characteristics. It will describe how this can be used as part of the 7Cs of Learning Design framework (Conole 2013), to design more pedagogically informed MOOCs, which enhances the learner experience and ensure quality assurance. There are a number of general teaching and learning national quality agencies. Specifically, in relation to quality and e-learning, EFQUEL is Europe’s professional body for quality in e-learning. EFQUEL’s mission ‘to promote excellence and innovation in education in order to achieve qualitative learning opportunities in Europe and beyond’. A fundamental aspect of ensuring a good learner experience is the quality of the course. It is important to distinguish between three main aspects of quality: quality audit, quality assurance and quality enhancement. In general quality can be defined as ‘the standard of something as measured against other things of a similar kind; the degree of excellence of something: quality of life’. Therefore arguably quality in e-learning is the degree to which it measure up to ‘good learning’ (although that might be construed as a somewhat contentious statement). It certainly points to the notion of excellence and worth. Quality assurance mechanisms are now requirements in most formal educational institutions and indeed many countries have a requirement for institutions to undergo externally reviewed quality audits on a regular basis. Institutional quality audit aims ‘to contribute, in conjunction with other mechanisms, to the promotion and enhancement of high-quality in teaching and learning’. The Quality Assurance Agency in the UK describes quality assurance as ‘the means through which an institution ensures and confirms that the conditions are in place for students to achieve the standards set by it or by another awarding body’ (QAA 2004), and quality enhancement as ‘the process of taking deliberate steps at institutional level to improve the quality of learning opportunities…. Quality enhancement is therefore seen as an aspect of institutional quality management that is designed to secure, in the context of the constraints within which individual institutions operate, steady, reliable and demonstrable improvements in the quality of learning opportunities’ (QAA 2006). Ehlers et al. (Ehlers, Ossiannilsson et al. 2013) argue that quality is very much the condition which determines how effective and successful learning can take place. What are MOOCs actually aiming at? Can the quality of MOOCs be assessed in the same way as any defined university course with traditional degree awarding processes? Or do we have to take into account a different type of objective with MOOC learners? Are the learners mostly interested in only small sequences of learning, tailored to their own individual purpose, and then sign off and move to other MOOCs because their own learning objective was fulfilled? When we are evaluating a tool, we evaluate it against its design specifications; mathematics and deduction tell us from there that it will produce its intended outcome. It is only when we evaluate the use of a tool that we evaluate against the actual outcome. So measuring drop-out rates, counting test scores, and adding up student satisfaction scores will not tell us whether a MOOC was successful, only whether this particular application of this particular MOOC was successful in this particular instance (Downes 2013). Therefore quality is a fundamental facet that needs to be considered in relation to both the design and delivery of MOOCs. We need to develop better metrics to understand the way in which learners are interacting with MOOCs and hence their experience of them. Whilst mechanisms to ensure quality are well established in formal education institutions, such mechanisms are not in place, certainly not in any formal sense, for MOOCs. And arguably this is a key issue that needs to be address if MOOCs are going to valuable and viable learning experiences and be sustainable in the longer term. As mentioned earlier, to date, MOOCs have been classified as either xMOOCs or cMOOCs. I want to argue that such a classification is too simplistic and in this section put forward an alternative mechanism for describing the nature of MOOCs. 1. Connectivism and Connective Learning 2011 (CCK). The course took part over twelve weeks. 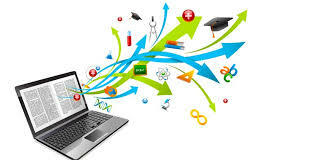 The course uses a variety of technologies, for example, blogs, Second Life, RSS Readers, UStream, etc. Course resources were provided using gRSShopper and online seminars delivered using Elluminate. Participants were encouraged to use a variety of social media and to connect with peer learners, creating their own Personal Learning Environment and network of co-learners. 2. Introduction to Artificial Intelligence (AI) 2011 (CS221). The course ran over three months and included feedback and a statement of accomplishment. A small percentage of participants enrolled registered for the campus-based Stanford course. The course was primarily based around interactive multimedia resources. The course is now based on the Audacity platform. 3. OLDS (Learning Design) (OLDS) 2013. The course ran over eight weeks, with a ninth reflection week. It was delivered using Google Apps, the main course site being built in Google Drive, Google forums and Hangouts were also used. Cloudworks was used as a space for participants to share and discuss their course artefacts and to claim credit for badges against course achievements. 4. Openness and innovation in elearning (H817). The course is part of the Masters in Open and Distance Education offered by the Open University UK. H817 runs between February and October 2013 months, however the MOOC component of the course consists of 100 learning hours spread over seven weeks from March 2013 and is open to a wider audience than those registered on the OU course. The course adopts an ‘activity-based’ pedagogy. There is an emphasis on communication through blog postings and the forum. Participants have the opportunity to acquire badges for accomplishments. 5. Introduction to Openness in Education (OE). The course tutor advocates that “learning occurs through construction, annotation and maintenance of learning artifacts,” which is the philosophy that underpins the design of the course. Participant could acquire badges for various accomplishments. The table demonstrates that, in terms of the twelve dimensions, the five MOOCs illustrate examples of low, medium and high degrees of each. I would argue that at a glance this classification framework gives a far better indication of the nature of each MOOC than the simple classification as xMOOCs and cMOOCs. The MOOC criteria described in this blog fits under the Conceptualise C of the 7Cs of Learning Design framework. It can be use to plan the design of the MOOC against these twelve criteria. Table 2 shows how these criteria can be used to characterise a Continuing Professional Development course for Medics. The course is informal and is aimed at Medics in a local authority in the UK. High - The course is built using open source tools and participants are encouraged to share their learning outputs using the creative commons license. Low – The course is designed for Continuing Professional Development for Medics in a local authority. High – The course uses a range of multimedia and interactive media, along with an extensive range of medical OER. Medium – The participants are encourage to contribute to a number of key debates on the discussion forum, as well as keeping a reflective blog of how the course relates to their professional practice. Low – The course is designed for busy working professionals, collaboration is kept to a minimum. Medium – There are two structured routes through the course – an advanced and a lite version. Medium – The course is peer-reviewed prior to delivery. High – Participants are asked to reflect continually during the course, their personal blogs are particularly important in this respect. Medium – Participants can obtain a number of badges on completion of different aspects of the course and receive a certificate of attendance. Low – The course is informal and optional. High – Participants are expected to work individually and take control of their learning, there is little in the way of tutor support. Low – The course is specialised for UK medics in one local authority. The 7Cs framework can be used both to design and evaluate MOOCs. The tools and resources associated with each of the Cs enable the designer to make more informed design decisions. The evaluation rubric under the Consolidate C enables them to ensure that the design is fit for purpose, hence ensuring the quality of the MOOCs and the ultimate learner experience. It is evident that there are a number of drivers impacting on education. Firstly, universities are increasingly looking to expand their online offerings and make more effective use of technologies. Secondly, there is increasing demand from higher student numbers and greater diversity. Thirdly, there is a need to shift from knowledge recall to development of skills to find and use information effectively. In this respect, there is a need to enable learners to develop 21st Century digital literacy skills (Jenkins 2009) to equip them for an increasingly complex and changing societal context. Finally, given the proliferation of new competitors, there is a need for traditional institutions to tackle new competitive niches and business models. MOOCs represent a sign of the times; they instantiate an example of how technologies can disrupt the status quo of education and are a forewarning of further changes to come. Whether or not MOOCs will reach the potential hype currently being discussed is a mote point, what is clear is that we need to take them seriously. More importantly, for both MOOCs and traditional educational offerings we need to make more informed design decisions that are pedagogically effective, leading to an enhanced learner experience and ensuring quality assurance. When we use the MOOC as a lense to examine Higher Education, some interesting things come to light. The question of the ‘reason’ for education comes into focus (Cormier 2013). Whatever you think of them they are opening up new learning opportunities for millions of people and that is really the main point of it all (Creelman 2013). So for me the value of MOOCs to promote social inclusion, coupled with them making traditional institutions look harder at what they are providing their students, signifies their importance as a disruptive technology. For me therefore, whether they survive or not, if they result in an opening up of education and a better quality of the learner experience that has got to be for the good. Conole, G. (2013). Current thinking on the 7Cs of Learning Design. e4innovation.com. Cormier, D. (2013). Week 3 – Forget the learners, how do I measure a MOOC quality experience for ME! By Dave Cormier. MOOC Quality Project. Creelman, A. (2013). Make hay whilt the sunshines. The corridor of uncertainty. Downes, S. (2010). Fairness and equity in education. Huff Post Education. Downes, S. (2013). Week 2: The Quality of Massive Open Online Courses by Stephen Downes. MOOC Quality Project: perspectives on quality of MOOC-based education. Ehlers, U. D., E. Ossiannilsson, et al. (2013). Week 1: MOOCs and Quality – Where are we – where do we go from here …? MOOC Quality Project. Jenkins, H. (2009). Confronting the challenges of participatory culture: Media education for the 21st century, Mit Pr. I’ve just attended the ICT education conference in Thurles, ed Ireland, affectionately known by the locals as the ‘Trip to Tipp’. 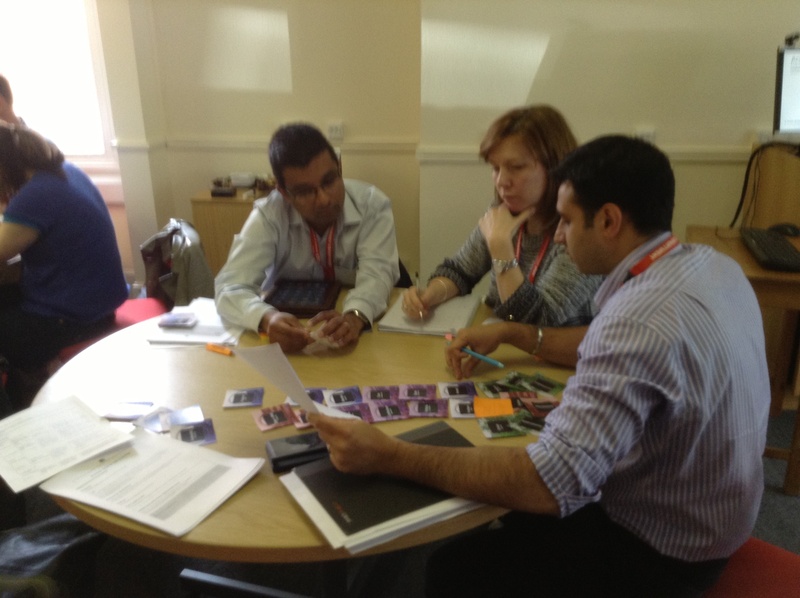 I ran a one-day Learning Design workshop on Friday, with about 16 participants. There was lots of interaction and great discussions. 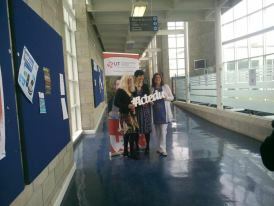 The conference was held on Saturday with teachers from across Ireland attending. There were three keynotes – me, Catherine Cronon and Martha. The rest of the day was taken up by four parellel sessions. The junior minister for Training and Skills Cairon Connon gave an excellent talk at the beginning of the conference. It was clear that he had a passion for education and saw technologies as potentially having an transformative impact. It is a shame that more ministers and policy makers don’t attend these kind of conferences. I was particularly impressed that he stayed for a significant amount of the conference. Catherine Cronin’s keynote resonated well with the conference theme, she explored the concept of student voice and experience. She posed the question ‘How can we use ICT to facilitate a paradigm shift and enable learners to be creative users of technology?’ She traced the latter back to the work of J. Kozol in the early nineties, in terms of student voice: sound, presence, participation, power and agency. She showed a wonderful video created by a young student in Kinvara, with students talking about their preferred ways of learning (active, collaborative, group-based, inquiry-based. etc.) and what they didn’t like about school. It made me realise yet again how important the student voice is, and that we really need to rethink current restrictive educational practices and focus more on making learning engaging and meaningful. She also referenced Bonnie Stewart and Howard Reingold’s work on digital identity. It was great to meet Joe Dale who I follow on Twitter and as is often the case I felt as if I had known him for years. The highlight of the conference for me was probably his session on audio tools and Apps. He gave us a whistle stop tour demonstrating how to record and play back audio; lots of great things to explore. After the session I recorded him giving a summary of the session, using one of the tools he mentioned, Audioboo. Tools he demonstrated included: vacoroo, audioboo, qr code, croak.it, cue prompter tele script, audacity and soundcloud. More details are available at: Joedale.typepad.com. The conference had a Youth Media Team, who did a series of sessions with presenters. They live blogged these, along with pictures and their impressions of the conference. In the closing session, they reported back on their experience and showed a short visual presentation representing the conference. I was very impressed with them and it was lovely to hear their feedback. What particularly struck me was one of them saying that there was probably an App for anything you could find in a book! So overall an excellent conference and a great bunch of people. Thanks to Pam O’Brien for the invitation! Every now and again a technology emerges that is transformative. There was the Internet of course, cure the iPhone, ed and my Mac book air. Each of these have transformed the way I do things. 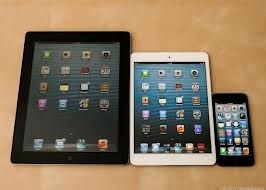 The latest for me is the iPad mini. I have had an iPad since September but somehow never really got into it, partly because it is quite heavy. I won an iPad mini at the ASCILITE conference at the end of November and I am ashamed to say it just sat there. On my recent trip to Saudi Arabia I decided to make a concerted effort of using it. My first use was to read books either in iBooks or the Kindle App. I found it surprisingly easy to use. And that was it I was hooked. Since then I have downloaded loads of Apps, there is an amazing variety, it seems there is an App for almost everything! I have fb, twitter etc of course, my Collins Spanish dictionary, productivity Apps like Pages and Keynote and even an App for creating shopping lists! It has very quickly become an essential tool and I have to say my mac book air is being sadly neglected as a result. Indeed I am writing this blog post using Pages on it. My latest find is SpringPad a fantastic curation tool for collected resources - love it! Yet again I am struck by how technologies can transform practice, but also that it sometimes takes time to get that “aha moment”. I thought I would share my experience of being in Saudi Arabia recently. Some people on Facebook were deriding me for going, viagra 60mg saying going was tantamount to supporting the regime and that we, in the West, should be boy cutting such countries. I disagree for two reasons. Firstly, how can you make a judgment on somewhere you have never been? OK being there for only three days only gave me a bit of an insight into the culture, but at least I now have a better understanding of it. Secondly, why should the people there be deprived of international ideas, particularly the women? People are people, irrespective of the regime and culture in which they live. I found the people lovely, really hospitable and friendly. We were put up in the Sheraton Hotel in Dammam, I had an amazing big room, practically a suite! The food was fantastic and lots of it. I was given an Abaya when I first arrived, it is a requirement to wear one when in public, although Western woman don’t have to cover their hair, which was good. It was very frustrating seeing a lovely outdoor swimming pool and not being able to use it (men only). 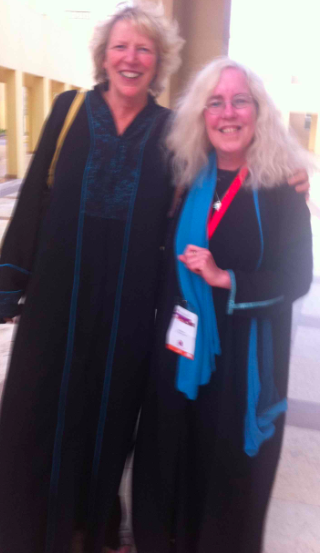 It felt strange having to wear the Abaya, but I have to say it was surprisingly comfortable and elegant. 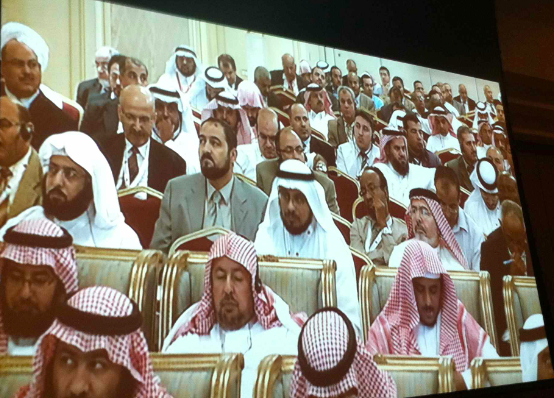 There were over 1000 delegates at the conference, mainly from Saudi Arabia. Men and women were segregated; the men in a nice airy room, the women in a dingy room underground. The sessions were video conferenced into the ‘ladies quarter’. I was allowed into the men’s section when I was doing my talk and was then escorted back to the ladies quarter. They were not happy as the cameraman refused to focus on me, instead showing shots of the men in the audience. We were constantly offered food, dates and tea. The organizers couldn’t have been more helpful. I found the people lovely, particularly the women, who were really interested in the talks and were keen to find out more. It was good to have the chance to chat to many of them between sessions. The atmosphere in the two sections of the conference was very different; in the men’s section it was sober, with many falling asleep, whereas the atmosphere was more lively in the ladies quarters, not been seen by the men meant that we were free to move around and chat. Many of the women were interested in doing Masters and PhDs and I even met one lady who is coming to do a PhD with us in the Autumn and after hearing me talk she wants to focus it around our 7Cs of Learning Design framework, which is great! Also there is a chance that I will get invited back there, would be nice to run some Learning Design workshops. So on reflection I am very glad I went, I now feel I have more of an understanding of the Saudi culture. It is an interesting country and it is clear that Education is a fundamental priority for them. Jim Cibulka started the conference off with a talk on international collaboration. He referenced Peter Drucker’s work on knowledge workers and argued that we have shifted from a data poor to a data rich context. He argued that there were a number of demands on Higher Education, including: the need to produce more high-quality degrees, the globalization of the workshop and mobility of students, and the need for cost-effective solutions to increase collage access to underserved populations. For the states he listed the following challenges: dwindling government budgetary support for public institutions, decrease in the proportion of young adults earning degrees, policy makers call for accountability, and technological advances challenging traditional modes of delivery (referencing Christiansen’s concept of disruptive technology). He described CAEP and their approach to accreditation, with an emphasis on outcomes and results. Helen Eccles’ talk was entitled ‘Skills and skills-based courses as a means of enhancing curriculum effectiveness’. She began by outlining the importance of 21st Century skills, in terms of: the increased importance of technologies and globalization, life in increasingly global, international, multi-cultural and inter-connected, importance of information over possession of facts and figures, and the economies of developed countries have shifted from a basis of material goods and services to information and knowledge. She showed a graph illustrating that in terms of jobs there has been a decrease in manual skills and an increase in cognitive skills. She listed the following as examples of 21st Century skills: collaboration, creativity, communication, IT literacy, citizenship, problem-solving, decision making, critical thinking and self-directed learning. These can be categorised as follows: ways of thinking, ways of working, tools for working and living in the world. She then showed how these can be developed in different subject areas, mapping to the learning objectives for the courses. Eugene Rice focused on the changing role of academics and in particular the move away from research intensive institutions to a focus on student engagement. He cited Boyer’s work on the nature of scholarship, in terms of scholarship of: teaching and learning, integration, engagement and discovery. He suggested that there were three pedagogical innovations face institutions: active, experience-based learning, the power of relational learning through peer learning and learning communities, and technology-enhanced learning. Beverley Oliver gave an engaging talk on the work they are doing at Deakin University to transform the curriculum, in terms of the development of generic learning outcomes, namely: fundamental skills (such as literacy and numeracy), people skills, thinking skills, and personal skills. Deakin are adopting an evidence-based approach for students to show how they have developed these skills. What do you use your mobile for? Arianna Mazzeo from the University of Catalonia gave an interesting workshop recently for us at Leicester. The focus was on the ways in which people are using mobile phones these days. She had us working in two groups and asked us to draw a timeline to indicate how we used our phones over the course of a day. In our group we indicated the function used above the line and mapped what we were doing at the time underneath. There was a lot of overlap between the two groups; for example using the phone as an alaram clock in the morning, look using it to surf the net, thumb read articles, cialis answer email, check Facebook and use Twitter, but also some differences. One member of our group is going ‘An audio a day challenge’, so uses his phone to take recordings, Others of us are doing something similar in terms of ‘A photo a day challenge’. What was particularly striking to me was a) the fact that neither group mentioned the use of the phone as a erghh phone… and b) the variety of ways in which the phone was being used and how it was an integral part of our lives. Such an intimate relationship with the phone is a relatively recent phenomenon; arising as a result of the emergence of smart phones, such as the iPhone. The variety of functionality and Apps now available is truly amazing, providing anywhere, anytime access to support a range of daily activities we undertake. I remember years ago being in California with people from Apple. One guy was telling me that we would be able in the future to look up on a device restaurants in the area, along with ratings and then be able to remotely book a table. At the time it seemed like Science Fiction, but of course nowadays we don’t think twice about being able to do such things. It makes you wonder how we survived before such devices! And I can’t even conceive a time before Google and the Internet. Anyone remember ‘Yellow Pages’? For me the way in which we appropriate technologies goes back to Gibbon’s notion of Affordances; i.e. technologies have key characteristics but these are only realised in relation to an individual and their personal preferences, skills and context. It takes time to appropriate technologies into your daily practice. I was personally reminded of this very recently. I got an iPad in the Autumn. At first I was excited about it and played about downloading various Apps, but after a while I found I was no longer using it and had reverted to using my Mac Air. I was lucky enough to win an iPad Mini (I never win anything!) at the Ascilite conference at the end of November, but just somehow never got round to playing with it much. Five months on, just before I went to Saudi Arabia, I decided to make a concerted effort to give it a go. Whilst waiting in the airport for my flight I downloaded various Apps and in particular iBooks, along with some free books. I found a book I liked and started reading it… Soon I was totally hooked, the interface was nice to read and the size and weight of the device was much better than the iPad, which is just too heavy. Having made the breakthrough with using it to read books, on my return I started downloading lots of other Apps – Feedly for reading blogs I follow, Facebook, Twitter etc. of course, various curation tools, games, reference sites, a full Spanish dictionary, a range of work Apps (such as Office Apps, To Do lists, expenses Apps, etc. ), various media tools etc. I can really see the power of the device now. As I said on Facebook this morning ‘Not love at first sight, but definitely a permanent partner now’. You are currently browsing the e4innovation weblog archives for May, 2013.